While we are asleep or in the state of unconsciousness no tears are produced. Therefore, those already affected by dry eyes could have a painful awakening as during the night the eyelids may become stuck together. Furthermore, unpleasant incrustations can form on the eyelid margins. Consequently, the friction occurring during first opening of the eyes can lead to an irritated and inflamed cornea, conjunctiva as well as eyelid margin. 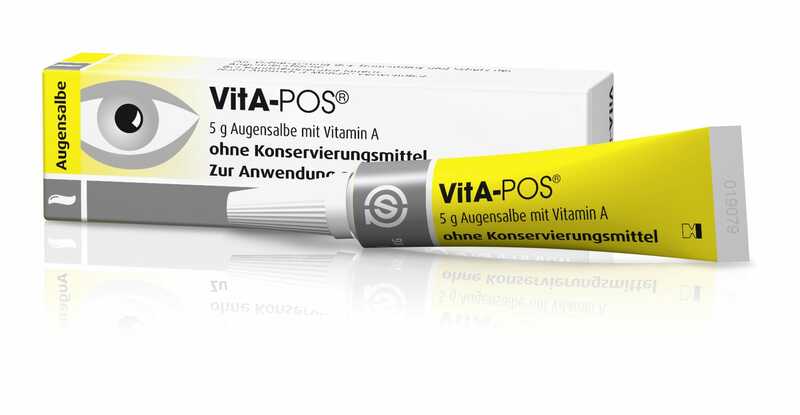 The smooth, vitamin A-containing ointment protects the cornea, conjunctiva as well as the eyelid margins during the night and stabilises the tear film. The eyelids are kept smooth and incrustations are prevented, therefore permitting a complication-free healing of the affected ocular tissues. This will benefit all patients suffering from dry eyes regardless of the severity of the disease. The high viscosity of eye ointments means that the retention time on the ocular surface is significantly longer compared to eye drops. Therefore, eye ointments in particular should not contain harmful excipients such as preservatives or phosphates. 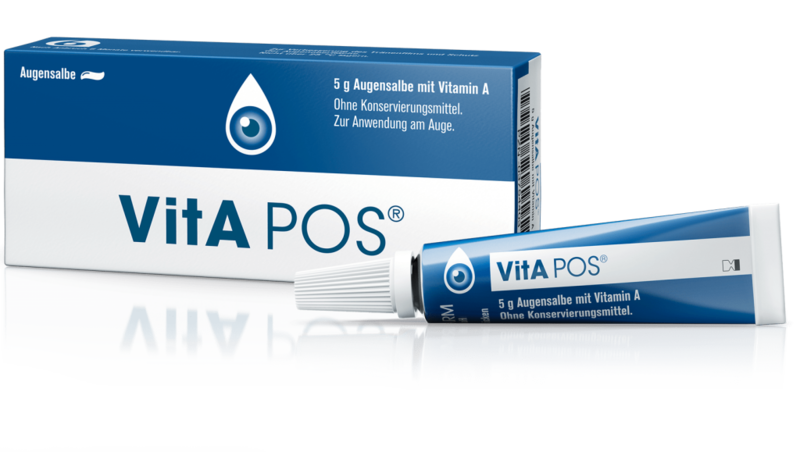 VitA POS® eye ointment is preservative and phosphate free and therefore presents no risk of harmful effects on the cornea and conjunctiva.